The internet is an important source of health information for many people, and healthcare providers are eager to share this information. In fact, about 80 percent of internet users are specifically looking for healthcare information, according to Pew Research Center. This makes online searches for healthcare content the third most popular pursuit on the internet. Nearly all healthcare institutions want to create meaningful content for a wide audience, from patients to practitioners. Storytelling and case studies make for compelling and informative content, but many in healthcare worry about overstepping the Health Insurance Portability and Accountability Act (HIPAA) guidelines. Violating HIPAA can be costly and can ruin an institution or practitioner’s credibility within the community. While HIPAA does create strict boundaries, healthcare practitioners and institutions can create content that is both interesting and compliant. As its name suggests, the original purpose of HIPAA was to help patients carry their health information from one insurance carrier to the next, as well as streamline the movement of health records between healthcare institutions. In addition, HIPAA guidelines also created a system that recognized and enforced the rights of patients to protect the privacy of their medical records. This covers all patient medical records and other protected health information (PHI) provided to insurance providers, practitioners, hospitals and other healthcare providers. So PHI is any information that concerns a patient’s health status, provision of health care, or payment for care that could be linked to an individual. 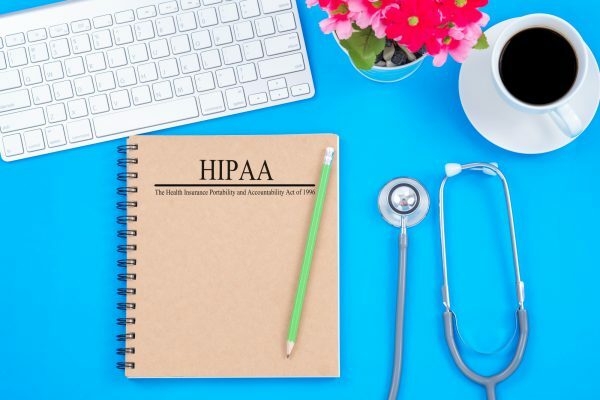 This aspect of HIPAA is often of greatest concern when it comes to developing narratives, which are often essential in medical journalism, medical marketing of healthcare products and services, publications, presentations and research documents. Narrative writing is an integral part of healthcare content intended for public use because it reassures patients that the clinician or facility has experience in treating the condition. Storytelling also elicits the strong emotions of clinical experience. In other words, personal narratives appeal to patients and doctors because being sick and providing medical care are very emotional experiences. Case studies and narratives create an empathetic, caring tone by breathing life into otherwise dry and boring medical terminology. But how do you do that without stepping outside the HIPAA and suffering a hefty penalty? By creating guidelines for your writers. Even the smallest detail, such as the visit time and location, could potentially expose a patient’s identity. The best way to avoid HIPAA compliance trouble is to secure patient consent in advance, even before creating the content. HIPAA Journal provides a downloadable HIPAA Release Form. Delete any information that could identify the described individual. Start with the obvious identifiers, such as patient names and addresses, record numbers, social security numbers, and photographs. Remove specific physical and mental health details, information about payment for services, and anything else that could track readers back to an individual. Be as general as possible when referencing particular cases, conditions, or treatments. Feel free to describe a teenager who is struggling with a weight problem and feels embarrassed in front of her peers but omit the fact that she is a varsity cheerleader, for example, as this extra information may make it easier to identify the individual. Invoke a “minimum necessary” rule to make compelling points with the minimum amount of necessary information. Avoid collaboration on medical advice or treatment over social media platforms; take such conversations offline immediately. Remove any posts that attempt to identify or that provide information that allows others to identify individuals. Many professional medical writers can help guide clinicians and administrators in writing compelling content that meets HIPAA guidelines. Choose writers who are already knowledgeable about medicine and any subspecialties, of course, but look for trustworthy freelance writers who understand the challenges of HIPAA and are qualified to create compliant and compelling communications. Storytelling remains one of the most compelling and engaging ways to interact with patients and other health providers. Writing HIPAA compliant content is easier than it appears as long as the author keeps the information non-specific. For more information about writing HIPAA compliant content, contact a professional medical writer.